Epsom’s Investec Derby festival is thought of as one of the greatest race days and social occasions of the British summer and requires either formal or smart attire over the two day meeting although it is not as strict as Royal Ascot. If you are visiting The Queen’s Stand on the Saturday, Epsom Derby Day, you must be wearing a hat or a headpiece at all times. 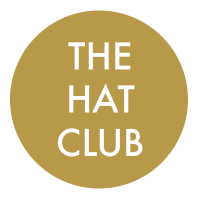 The easiest rules to follow are the Royal Ascot dress codes but The Hat Club will be able to advise on the necessary requirements. Ladies Day, Friday 1st June 2018, at the Investec Derby Festival will see most ladies wearing a hat or headpiece. Ladies Day is the day of the annual Style Award at the track, so fashion and millinery are a key focus of the day.